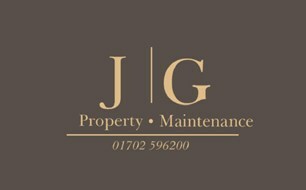 JG Property Maintenance - Home Improvements based in Southend-on-Sea, Essex. We offer a professional, reliable and cost effective property maintenance service, with over 20 years' combined experience. We are available to respond immediately when you require an emergency or planned repair. General maintenance or even a full property refurbishment for residential/ commercial. We have the expertise to diagnose and fix your problems quickly and cost effectively. We always strive to make sure our customers are happy and fully understand, giving all our clients peace of mind. We cover Essex and surrounding areas. We offer FREE advice and quotations, so please don't hesitate to get in touch! Southend-on-Sea, Westcliff, Thrope Bay, Leigh-on-Sea, Benfleet, Wickford, Rochford, Rayleigh, Hadleigh, Basildon, Stanford-Le-Hope, Brentwood, Billericay, South Woodham, Ferrers, Hullbridge.